You are here: Home / Child Alters / Who are these bears? And what are they doing here at Discussing Dissociation? Where did you come from, little bears? 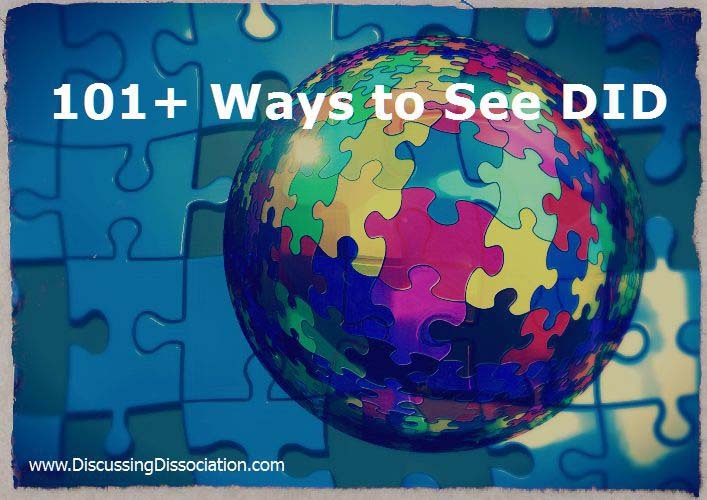 Do you have any stories to tell the DID kids at Discussing Dissociation? What are you doing, bears? What are you doing? The first little bear story is READY !! The Saddest Little Bear has been waiting, and waiting, and waiting, but this first little bear is ready to come sit with you. Click HERE for detailed information about joining the Bear’s Member’s Area. The FREE Email Course is READY NOW !! This Email Course has been specifically designed for introducing the Saddest Little Bear, and will hopefully, enhance your overall learning experience. It will help you know even more about how to help your own sad little bears. Have you signed up for the Discussing Dissociation Email Newsletter? Details about purchasing the Story Pack will be sent via email. Sign up today to know more !! For more information about these bears, click here! 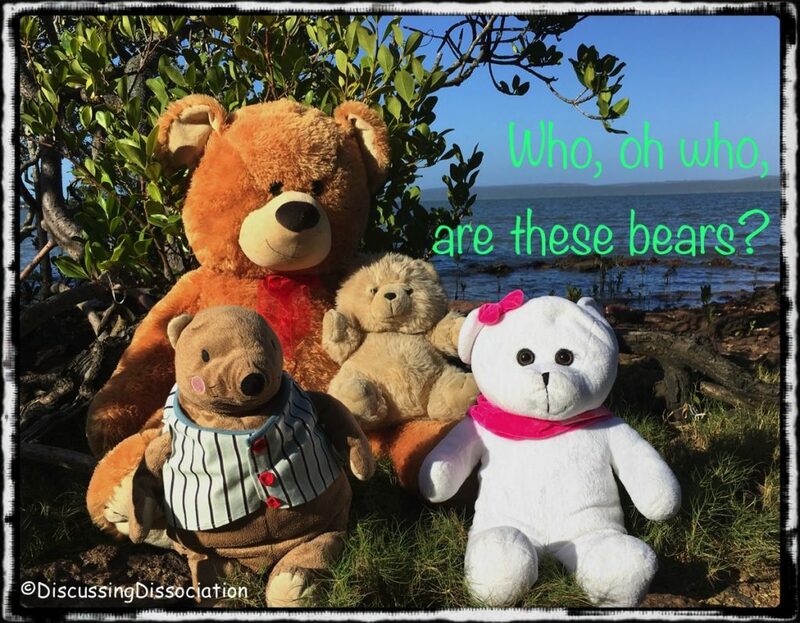 Filed Under: Bears of Hiddenton Point, Child Alters, DID Education, Dissociative Identity Disorder, Featured Posts #4, Fun!, Kathy's Video Comments, Stories for Child Insiders, Therapy Homework Ideas Tagged With: Activities for Child Parts, Bears at Discussing Dissociation, Child parts in DID systems, DID kids, DID System Work, Distance Ness, Hiddenton Bears, Saddest Little Bear, Teddy bears for kids, Who are these bears?, Why are you here? These are the travel bears. They are going on a journey! First they had to pack their bags. Oh that was work. But then … Guess what?! They got to Fly! No not with wings, silly silly! On an Airplane! ✈️ It went ZooooooooM so very fast & so very Fun! The travel Bears are off on their Big Adventure! Where do you think they are going and WHAT are they Doing anyway? Please tell us a story Bears! becuse they spying for Santa. Sending a hug to help with the tears Blue. Well the lil Bears had a good rest. Flying even on an airplane ✈️ Can be very tiring. Then we got hungry & went exploring. We found McDonalds. Yum Yum. And played in the play area & went exploring some more. Ya know what we found? We found those Reindeer you were talking about only they are very real & eat grains. We even petted one. We laughed. It made us giggle. And then we got our love cup all filled up cause we also found our friend today! Friends are so very special. Like a Christmas gift. We want to find Christmas lights next. We are on an adventure! Have you been on adventures too? This is a very happy adventure. We have a happy secret. Can you guess what? i have a little bear too. her name is phillipa and she keeps me safe. i am excited to hear stories from your little bears. Maybe those bears are going on a picnic. Maybe there will be watermelon. Maybe there will be a lake and they can all go swimming and play in the sand. Maybe those bears are going to have an adventure! Maybe they are going on a treasure hunt! Maybe there will be a map with X marks the spot. Blu, why are you sad? I gots stuffed doggies – Odie, Little Odie and Clarence. I love them. They like to cuddle and keep the scaries in the darkness away. Dr. T has gots a stuffed doggie Gabbie to cuddle in badness time. Maybe you like stuffed doggies. Maybe your big people can help you find one. Well we flew & flew way up North Where there’s snow so deep! You guessed it! We went to The a North Pole! And Yes! It’s Real! We found Santa’s Sleigh, Santa’s Hat & the Reindeer too! We found The Santa Clause House! Oh it’s so pretty! It’s filled with Gifts & Ornaments for the tree! It has Toys everywhere!!! We found Santa’s workshop & the helper Elves. You’ll never guess what they were making this year … Bears!!! Yes! Bears! HaHaHa. And they have been busy!!! Bears, Bears everywhere Bears! 🐻 We were so excited! Then we met the real deal Kris Kringle. It says so on his drivers license. He’s real! And so is his wife Mrs. Kringle! They were busy busy too. You know why? It’s the biggest day of the year for The Kringles. The are feeding the Reindeer & loading the sled! Santa has lots of travel ahead! From here to there & there to here, oh what fun is in Santa’s Head. Toys for all girls & boys. Wishes & dreams come true. So sleep tight boys & girls. A very Beary Christmas is coming tonight! Merry Christmas to All & to All a Goodnight! I have a small sheep called Selma. I like her. She have been in the purse when at the nice lady. I am the one who Serene saved, but she is not happy with me now because of reading here and then I am saying everybody should look at the head pictures and see what did happen, which is ok for me because I am in a garden. I am writing now because i do really want some help.p, and I am scared form the mean person. I do like the bears a little. But, I anyway have a koala also, but he is on the shelf. I also like flowers. I think we are going to be dead. I would be sad because I like the husband, and I like cartoons like the spongebob with the pink Patrick. I’m glad I can type and it tells you how to spell. Hello to the little one who wrote this post – it is very okay that you wrote this, and you haven’t done anything wrong. I’ll post this one but not the other note you sent. I’m still not sure what the correct name because I’m not sure what or where is the typo. It’s ok here to ask for help, and I’m glad you are here learning lots of new things here at this place. There are lots of ways to get help, and it s important to get help, especially when you need help knowing what to do around mean people. And gosh, no one here wants you to be dead. It sounds like it’s quite important for you to be here and to figure out ways to feel safer. So I do want to post this comment, and let some of your new friends here understand you more. And hopefully, help you more too. I’m glad you carry a sheep in your purse, and that you have a koala. Koalas are so cute! Thank you for having the courage to write, and if you will please help me understand what the correct name should be, I can put that in there for you. Hold tight, and stay safe! Merrie. But I am now very scared of big people. You have pretty eyes and I don’t see you so it’s ok. Serene hates me. Mean person was in a picture and then made the arm to bleed so the lady have to wear long sleeves even if she is hot which did happen today.serene wanting to make us all to be dead. She is not to be sure how that would be. Today, I was reminded of this conversation from a long while ago — how are you feeling now? Are you feeling any better? Are things better at your house? I am sorry to hear that Serene was so upset, and it would be very upsetting that there was so much distress at your place. I hope things are more settled now. I certainly don’t want you to be dead, or hurt, or have troubles with each other. I hope all the people in your group learn how to be friends instead. Everyone, please be kind and gentle with each other! Lady, thank you for to ask about her. She in big trouble. There be a picture of her bad garden. A made it at work at a retreat what had papers and markers. There be a new helper who try to fix up what did go bad before, and she supposed to be a expert, and she has a pretty soul. and also a math teacher who now be like your job who want to be a good friend. But, Merrie still stuck because did she get bad hurt when she needed something and did ask and the other lady from before didn’t t hear. I just wanted to say hi and to let you know that there are nice people here for sure and in the outside world too (even though sometimes they are hard to find). And YES Kathy is a really nice and safe person for sure and very, very, very smart. She knows all about us kind of folks and how to help us. Oh ya … and she has very pretty eyes. When you are scared or are feeling alone, you can look at her picture or watch her videos and then you will feel that there is someone good in your world who will not hurt you and who wants to help you. I hope that Serene can take in your love so that she can learn to love too. She sounds like my Victoria. Lots of anger and hitting out and hurting others. That is because she has been hurt and is scared too but she does not want anyone to know that. Maybe Serene will tell you why she is so angry and hurtful sometime. Hurting is not good for anyone. I am so sorry to hear that Merrie was so badly hurt. My Squirrel says that maybe some extra special cuddles and a new stuffed animal and lots of ice cream would help. Well, that is what she asks for when she is feeling hurt. Maybe even a stuffed Sponge Bob. That could keep Merrie company and make her laugh. Remember that you are always safe and cared about here. I’m finding it difficult to keep up with some of the posters here, in that I can’t tell who, in what system, is writing. The reason I would like to know is so my responses encompass what others in that system has said before. For instance, I think Serene, this poster above here, some of the other littles, ZZMich, Deb, None, a few others are all one system but since I can’t really tell I don’t want to respond and insult anyone. I have a suggestion. Or rather, Pilgrim has a great idea of having an avitar. I would put one on ours but I dont know how. Can you maybe give a suggestion to everyone to get one, and maybe a tutorial on how to do it? That way the names can change but everyone will be able to recognize the system. No. Serene is in my town. I am too shy. I am the one the lady didn’t know because I did a typo in my name. We can’t talk about none. I don’t know these other people but you are very smart for to know that serene is in my town. i think we have a avatar becuse we have a word press accont. we acsindelty have 2 becuse we acsidnelty sined up with 2diffrent emails. we we have 2pictures for us depending on whitch email we write from on here. i think 1be our white puppy and 1be a eye. them be from he word press settigs we think. We used to have a windup koala that played waltzing Matilda. It was very furry. Our sleep kit for when we can’t go back to sleep has a stuffed owl and a wolf. We can never remember what we name them, so we stopped trying! Thank you to T Clark. I am nice and don’t like to cause the problems, but so I stay in my plants if someone is mean. The really mean one what scared serene is not loving and she made a blood. I’m thinking that maybe this is not your name. Maybe you can tell us what your name is. My one little one Squirrel keeps her little stuffed dog – Little Odie – in my purse so it is with us at all times. It sure does make Squirrel happy to know that Little Odie is there. When she is scared she hugs Little Odie really, really, really tight and the snuggles help the meanies go away from her head. I hope that you are talking about head meanies and no one is trying to hurt you right now. That would not be good at all. Is there someone in your system who can help you? We would sure like to talk to you here and maybe that can help? Sure don’t want you to be dead. We have two little ones who worry about dying. That’s really scary. Oh and Squirrel likes SpongeBob too! ME+WE: hi. Does squirrel also like Patrick? He’s funny because he is dopey. They are not to worry about to be dying because you are nice to them. I am so happy to meet you by name. It really sounds like a lot of stuff is going on inside your town. You have a lot of friends here to help okay. Please just keep coming here and letting us know when you are scared or need help. We are all friends here. We are safe and want to hear you. We are here for everyone inside including none and serene. I understand that they scare you and that maybe you do not want to talk with them but they are all welcome here okay. Maybe if they talk with us then we can all help each other and maybe there will not have to be scary things happening or blood anymore. Oh Squirrel LOVES Patrick. He is so funny and goofy looking. We laugh every time we see him. She likes it that he tickles her silly beans. Squirrel likes Gary too. She laughs and laughs when he meows. Squirrel loves kitty cats and would like to have a Gary who meows. Yes I am nice to my little ones. I feel that little ones are super special and deserve lots and lots of hugs and kisses and special blankets, pillows and stuffed animals and a really safe place to stay. Do you have a safe place Merrie? Yes, yes, yes, the bears have told their story now — at least the first one. There will hopefully be lots more than one story to tell…. I’m starting already to work on Story 2 from ANOTHER bear….!! I’m glad you have 2 bears. Maybe pretty soon, I’ll have 2 bear stories out here too! Thanks for writing, and I hope your bears are good friends for you. But, lady in charge with big eyes, if you do put on the Page what I do write then will serene get even madder at me and then I am so sure we will be al dead. There is a body which can’t be dead because she’s not allowed to do that because the LIB won’t let. But the body has bloods and blue bruises from where the mean one did hurt it and I am scared. I live in a garden but the sky turning black and then flowers to be also dead. If you press a x button the letters do go away. It’s funny sometime I get a side track. Thanks for being brave enough to share your name with us. That’s a cool name — I like it. Yes, yes, I do have big green eyes. :). Thank you for looking at my eyes. I hope you can feel warmth and smiles coming from them. I don’t know what Serene will do or feel, but here at this place, you are most certainly welcome to write and to talk and to be part of our group. Serene is welcome to be part of the group too. And I hope she learns to not do anymore of that cutting stuff. Lots of people here have had that problem, and I can say to you that there are ways to help that and to not have to be hurt like that anymore. Maybe Serene or that mean one will have a chance to feel better herself and find new healthier ways to express their feelings. I don’t want anyone to be hurt anymore ever. Not from inside or from outside, so yes, it is good to learn more about how to be safer from that scary stuff. I’m sorry you were hurt and I hope both you and Serene feel better soon. I’m fine. It’s nice of you to try and make merrie feel better, but keep me out of it. Yes, we are in the same town. No, I will not put up a photo. Thank you for writing — you are very kind for caring about these little bears. The story of the Saddest Little Bear — well, yes, he starts out feeling very very sad, and lost, and all alone… but then things happen. I don’t want to tell the whole story out here, but yes, of course, there are lots of things that the Sad Little Bear does to help his sad sad sad to feel better. I hope you know how to help your sad sad sad feel better too, Nora. Same with all the other little bears out there — I hope ALL of y’all know how to help your sad hearts to feel better…. Are yu saf kathy? ar yu saf me we ?? That is skarry!! Yes, I’m very safe. I most certainly do not belong to any bad people groups and I do not think it is okay to hurt kids. So yep, yep, yep, I’m a safe person. For years and years and years, I’ve been working hard to help lots of kids get safe from people who hurt them. I think it’s important to help as many people as possible to be safe. Can you say anything more about what you think is scary?? You’ve asked me important questions, and it’s okay. It’s super important to figure out who is a helping person from who is a hurter person — that’s for sure! This is strange! I was reading here earlier about when you and ME+WE were speaking with Merrie. It was kind of upsetting my insides when I was reading it and I think I blanked out. That must be when this message happened. And I believe a child was worried about YOUR safety….and ME+We’s safety…not asking if you are a safe person. I’m pretty sure you are very loved on my insides Kathy !! And she/he wanted to make sure you were OK.
So…I’ve never had this happen before, I don’t think anyway. To have a child write a message. aaaaaah, ok — I see now. I read these comments as they come in one-by-one (on my Admin Panel), and I hadn’t looked back at the whole page of comments to understand the context. I was a little confused by the question, but I understand now, and yes, there are a few difficult spots on this page. Sorry about that – hmmmm… I’ll have a little think about this now. But thank you for checking on me — that’s very kind of your littles. Yes, yes, yes, I am ok. 🙂 . And I’m pretty sure that Me+We is okay, but I’m also pretty sure that she’ll be able to answer that for herself. And I hope that Merrie is okay too. How are you now, Merrie?? And Rita — this is the first time, for you, that one of your child parts has written? It’s the first time here at DD, that I know of, but have you heard from some of your littles in other ways, other places? If this is the VERY first time your littles have written, you’re about to have a real party going on at your house…. How many other folks have littles doing writing things when you don’t expect it to happen??!!! OH boy…. it gets to be a lot of fun when the littles start writing…. I can only imagine what’s happening in your head right now, Rita! Hi Rita and Merrie and all of the inside folks who have been reading and posting here. I am safe no worries about that. I have a bunch of helpers, a great therapist and I have Kathy and my DD community here that I can always talk to and who understand what it is like being an inside/out person. My little ones have only written on here a few times. I think that it is super brave that your little ones have done that. 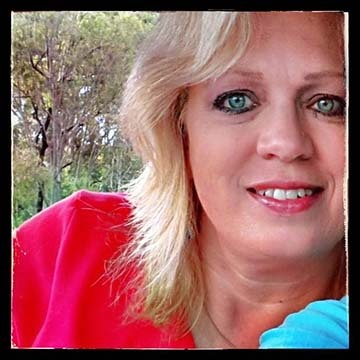 A special shout out to our friend Merrie. We have not watched Sponge Bob in a while. We are going to do that today. Have you been watching Sponge Bob Merrie? Does that help you? Thank you for letting us know you are safe too. And we are also hoping that Merrie is safe and maybe getting to watch Sponge Bob! Safety is soooo important for all of us. And it is nice to know we can come here and talk to nice people. Little ones sure do care about others! That’s why my littles wrote on here yesterday. I’m not sure who wrote…what their names are, but I’m going to try to find out! Thank you for being good friends ME+WE, Kathy and Merrie. Hope to talk to you all soon.